This is a Bed cover. It is dated 19th century and we acquired it in 1976. 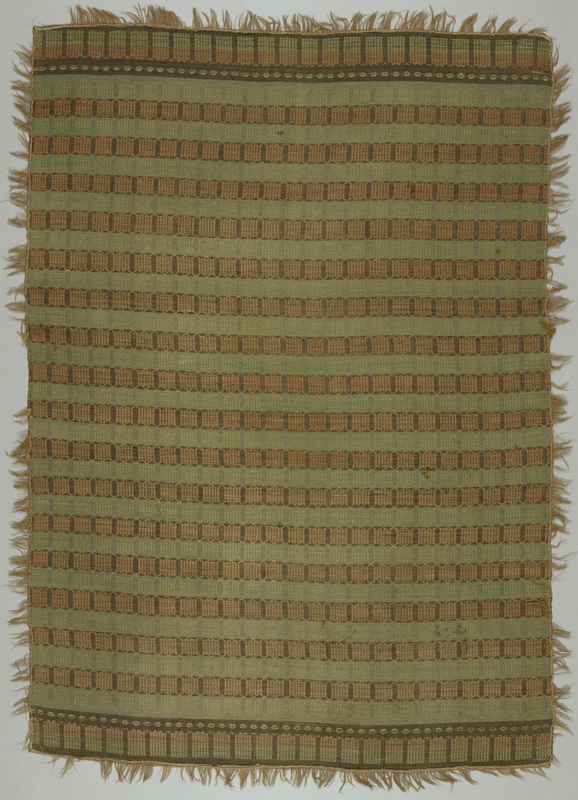 Its medium is linen, wool and its technique is continuous supplementary wefts free floating from face to face in a plain weave foundation. pattern would have required 16 harnesses. It is a part of the Textiles department.